‘I am Henrietta P. Hoppenbeek the First (future Queen of the Wide Wide Long Cool Coast of the Lost Socks). I have a baby brother, two white mice, a chocolate-coloured dog, a woolly mammoth, and two long green socks with toes. My best friend is Olive Higgie and we’ve got an EMERGENCY DILEMMA to attend to. We absolutely have to find a home for the Rietta because it’s lost and sad and its spots are fading.’ With an imagination like Henrietta’s, adventures are closer than her front doorstep. Three books together in one! 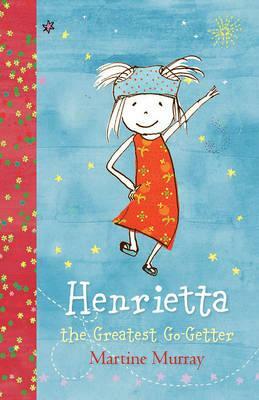 Henrietta there’s no one better, Henrietta the great go-getter and Henrietta gets a letter.